"Gardens - Real & Imagined" is an annual art exhibition featuring new work by the members of the Fredericksburg Art Guild, 308 East Austin Street, from 10 am to 4 pm. The Guild is closed on Tuesdays. Call (830) 997-4949 for more information. "Sunshine" the Clown's 6th Annual "Clown Town" for Kids at Boys & Girls Club of the Texas Hill Country, 208 E. Park Street. "Sunshine" will lead participants in a fun exploration to find their inner clown!!! Classes include: (A) Clown movement, (B) Character development, (C) Clown Makeup, (D) Ballooning Fun. Fee is $125 per person. Space is limited, so don't miss out! Enjoy traditional target shooting at 2660 Center Point Road on Saturday from 1 pm to 6 pm and on Sunday from 9 am to 5 pm. Please call 830/997-8006 for more information. “The blues” take over Pioneer Museum in Fredericksburg for the next Roots Music concert on July 31, 2010. 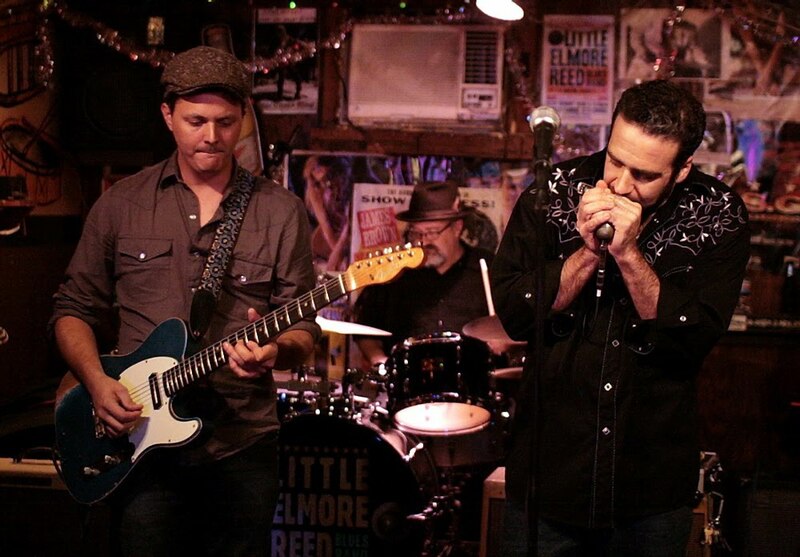 The Little Elmore Reed Blues Band opens the evening at 6 p.m. with classic Chicago blues, west coast swing and the early rock and blues of New Orleans, played Texas style. At 7 pm, Rhythm & Blues singer Lisa Marshall takes the stage with her high-energy performance. Marshall plays several instruments and sings in a style compared to Aretha Franklin and Janis Joplin. The Longhorn Street Cafe will serve choice of 12 oz. rib-eye charbroiled and cooked to order on site, Shrimp etouffee, and Gumbo in a bread bowl. Sides of dinner roll, butter, new potatoes, corn on the cob plus dessert. Meal is $9, with tea at $2, and all tea proceeds donated to the museum. Sodas, beer, wine and water are for sale on the grounds. The Pioneer Museum is located at 325 West Main Street in Fredericksburg, with entrance gate on Milam Street. Free parking. Bring lawn chairs. All concerts take place on Saturdays, 6 - 10 p.m. Gates open and food is served beginning at 5 p.m. Admission is $12. Students high school age and younger are free. Guests receive a $2 discount by visiting the web site and printing out the coupon or buying tickets online at www.pioneermuseum.net. Roots Music is a series of live, open-air eclectic Roots music concerts on the grounds of the Pioneer Museum on Main Street in Fredericksburg, Texas. Concerts feature both emerging and established artists in an informal, family setting. Net proceeds support the mission of the Gillespie County Historical Society. Upcoming Concerts are Aug 21 - Texas Country Night; Sept 25 - Latin/Conjunto Night. 2nd Annual Dog Days of Summer Studio Pet Portrait Specials at Kathy Weigand Photography Studio, 904 N. Milam, helping to raise funds for local animal shelters, and promote quality pet care. Portraits are by appointment only. Reserve your spot early, as sessions will book quickly during this fun event! Enjoy special sitting fees and print packages, as well as complimentary online viewing of your images. Gift certificates are available and donations will be gladly accepted. Please call 830/997-8066 for an appointment. Each summer 16% of the South Texas Blood & Tissue Center's (STBTC) donor pool is out on summer vacation. Students, who are the Center's largest donor group, are out of school and miss out on regular scheduled blood drives. Because of the decline in donations, the South Texas Blood & Tissue Center is currently enticing the community to donate with several great incentives. In July all presenting donors receive a thank-you gift from the Center as well as an entry to win a family four-pack of SeaWorld FunCards. "The blood supply is always tenuous but summer is a challenge as schools close and families go on vacation. Despite the decline in donations, patients still require life saving blood donations from volunteer donors. All eligible donors are encouraged to donate for their community," said Carmen Davila, Director of Community Relations for STBTC. Give the gift of life at the blood drive in Fredericksburg. Donors must present identification. Anyone who is 16 years old weighing 120 pounds (with parental consent form), or at least 17 years old weighing 110 pounds and in good general health may donate blood. All donors receive refreshments, a mini-physical and are encouraged to eat before and after donation. The blood drive will be at Wal-Mart, 1435 E. Main Street, from 10 am until 7pm. Learn more about blood donation at www.southtexasblood.org or call 800-292-5534. Green Living for the Hill Country will host an Eco-Mixer presentation on Saturday, May 15 from 9:00 a.m. until 10:30 a.m. at Kelly’s Café at 505 W. Main St. in Fredericksburg. Come join one of the monthly Eco-Mixers. They promise not to talk over your head, or preach to you about the environment. An Eco-Mixer is simply an opportunity to learn and discuss different ecological issues that are pertinent to the Texas Hill Country. Discussions will range from basic recycling tips, to alternative energy sources for your home or business. The goal is to bring in an expert each month to fuel the discussion, and then showcase local organizations, businesses, and innovators who seek to bring positive solutions to the community. Of course, the whole time will not be spent learning - there will be ample time for socializing, eating and drinking. This month's Eco-Mixer hosted by Green Living for the Hill Country will focus on clean energy. Walter Moldenhauer, local architect, will be talking about "Passive Solar Design" and Paul Lochte, engineer with Pedernales Electric Coop, will be discussing "Net Metering" for renewable energy system. Denise Holtz, State Farm Insurance, will talk about insurance requirements for homeowners with renewable energy systems. Kelly's Cafe not only provides the group with tasty goodies, but is a leader in the community's environmental movement, serving locally grown foods, limiting energy consumption and using biodegradable to-go containers. And for more information about this and future Eco-Mixers, call 830-998-4133. Vogel Orchard has announced Loring and Red Globe Peaches are now availble. They are open daily from 8:30 am to 6:00 pm with fresh pickings. You may call ahead to 830-644-2404 to check availability and reserve your boxes. The Fredericksburg Archery Club will hold its March tournament Sunday March 21 on FM 1631 about 6 miles from town. Registration if from 10 am to 11:45 am. The shoot starts at noon. For information email fbgarchery@hotmail.com. Night in Old Fredericksburg (NIOF) is an annual event held every year downtown at Marktplatz. A fun, family-friendly event, NIOF features great German food & drink, live German music on multiple stages, arts & crafts, kids' area, & historical exhibits. Hours & Ticket Info: Friday Hours: 6:00 PM - Midnight. Admission: $6 (adults), $1 (children 12 & under), 2-day passes are $10 per person. Saturday Hours: 11:30 AM - Midnight. Free parking. Learn to prepare a variety of dishes from across the globe with the Fredericksburg Culinary Arts’ International Picnic cooking class this Saturday, July 17 from 3:00 – 4:30 p.m. The class is held on the grounds of the Fischer & Wieser’s Das Peach Haus at 1406 S. Hwy 87 in Fredericksburg. Cost for the class is $39. For information, call 830-997- 8396. Thomas Michael Riley hosts his "Back to the Basics" Festival in the world famous Texas town of Luckenbach Friday and Saturday. Please call 888/311-8990 or 830/997-3224 for more information. Show your support by welcoming the returning local National Guard troops at the Fredericksburg Independent School District Auditorium on Highway 16 South. For more details, including time, call Olivia Wehmeyer at 830-456-2268. 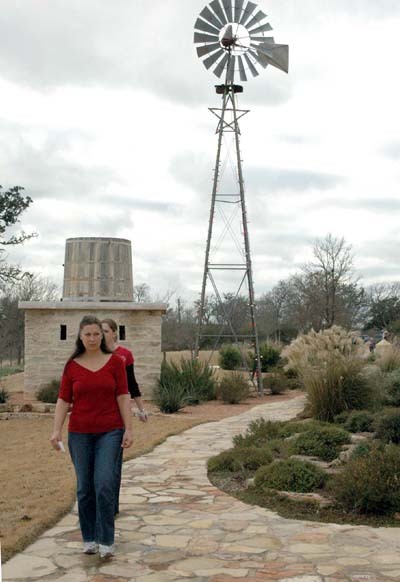 The Pioneer Museum in Fredericksburg invites everyone to help celebrate its 75th anniversary this December 11, 2010, by visiting unique and historic properties on its all-new Holiday Home Tour. Join the Fredericksburg Theater Company as they celebrate another season. FTC's production will be Roald Dahl's musical "Willy Wonka". Don't miss this timeless story of the world famous candy man and his quest to find an heir to his candy factory. All performances are on Fridays and Saturdays at 7:30pm and Sundays at 2:00pm at The Steve W. Shepherd, 1668 Highway 87 South. Call(830) 997-3588 for information. Lori's Culinary Company will hold its first summer cooking class for children at Becker Vineyards from 11 am to 1 pm. The focus of this class is to give hands-on lessons, learn seasonal recipes using lavender. Cost is $45 per student. Call (210) 917-1721 for more information. Fireworks Jamboree, the Hill Country's Ol' Timey Independence Day celebration will be held at Double B Ranch and Resort, 17 miles west on FM 2093 . Enjoy music by Limited Edition with Barbra Puckett, kids' games, bake sale, fishing and much more. Food and drinks will be available. Proceeds will benefit the Harper Library. Cost is $5 for adults, with children 18 and under a $1. Please call 830/990-9500. Join Chisholm Trail Winery, Highway 290 West at Usener Road, for great Texas wine and live music from 2:00-5:00 p.m. on Saturday, July 3. Cost is $15 per person. Please call 830/990-2675 for more information. You can now find the new trail map on the first page of the Flat Rock Ranch website. The map shows yellow and black sequential numbers placed on direction signs with red arrows at intersections. This will allow new riders to know where they are if they print a map from the web site and take it with them on the ride. The new map will also let regular riders plan different combinations of trail than they normally ride. It also comes in handy when the sun goes down. Jimmy and Terri Driess have already had one rescue of riders caught after dark where they called in referencing the numbers. They found them in short time. Some green signs may have 10s and 12s denoting kids age groups during our cross country race. Flat Rock Ranch is located in the beautiful Texas Hill Country about 25 miles South of Fredericksburg. The ranch consists of 1,300 rugged acres that have been in the same family for over 100 years. Currently there are 25 miles of existing single track with some jeep trail. The trails lead through typical hill country terrain, with spectacular views, hill climbs, long downhill sections, technical single track, and several creek crossings.